Cenizas Eternas/Eternal Ashes - ARTE AMAZONIA provides a global voice through art for the indigenous cultures of the Amazon. 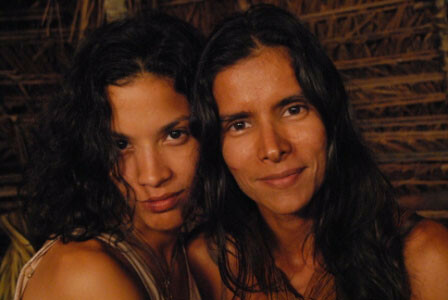 Eternal Ashes is a NEW Venezuelan film that tells the story of a mother, Ana, and her daughter, Elena. Although they are separated, in the space and time, they remain united forever. Written, directed and produced by Margarita Cadenas. "Eternal Ashes" is a dramatic adventure. The furious current of the mythical Orinoco River is the scene of a tragic accident. 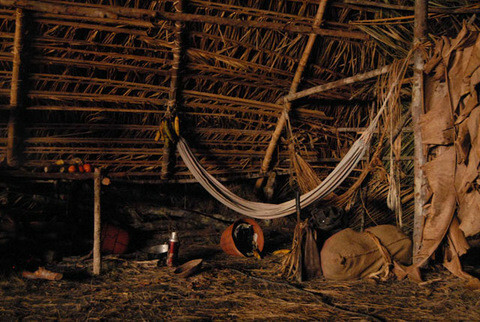 One survivor, Anna, played by Patricia Velasquez, is lost in the vast forest. Injured, naked and defenseless, she is invaded by the terror of the unknown. Her only certainty is that of being alone in the immensity of the rainforest. Margarita CHAINS, Director, Producer, Writer. Born in Caracas, Venezuela. Her professional career has developed in France and Venezuela. Producer and Writer for TF1 (France), adventure films made ​​in Venezuela highlighting with "Barrage sur l'Orenoque" I and II, directed by Juan Luis Buñuel. Co-produced with Canada "Marie et Tom" Dominique Baron, with Greece and Australia "Touch of Spice" Tassos Boulmetis for Village Roadshow. Produced for French TV "Chuao, the vallée merveilleuse" H. Becerra and G. Jacquemin. He was writer, director and producer of "Au-delà des Apparences" on the controversial anthropologist Jacques Lizot. Post articles and photographs on its Web History and Travels in the newspaper "The Express". Director of the series of short films "Mask" filed in the circuit of United Cinemas nationwide. Writer, director and producer of the documentary "Macondo".